Great Scrapbooking-Ideas, Tips Techniques by Michele Gerbrandt (2000, Hardcover) dustjacket. ISBN-10: 0883639270 ISBN-13: 9780883639276; Synopsis Much more than the sum of its parts, a great scrapbook page is a work of art. Learn the art of the craft from the best scrap-bookers around the country. Lift-the-flaps, pop-ups, mosaics, pierced paper, punched paper, pieced paper, kaleidoscopes, die-cuts, templates -- you'll find them all here with ideas on how and when to use them. Keep treasured family memories alive. Dip into that box of old photos, or shoot some new pictures, and tell your family story in your own way. Scrapbooking - the craft of family history - is enjoying tremendous popularity. 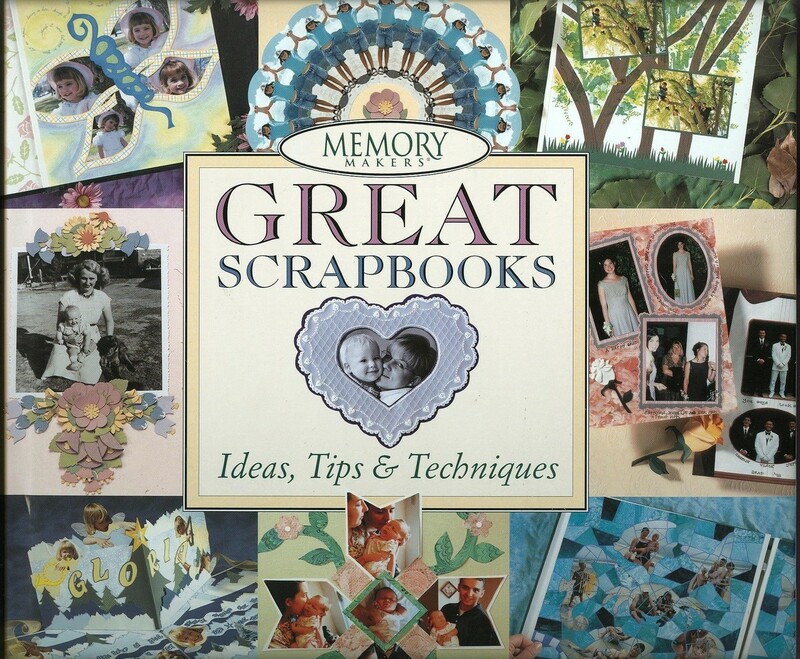 Memory Makers' Great Scrapbooks is designed for scrapbookers of all ages and levels of expertise. It features more than 90 exciting scrapbook pages, all in full color and arranged by theme (weddings, baby books, school, pets, vacation, seasons, heritage albums, holiday albums), along with dozens of tips on how to re-create the pages. It includes easy-to-learn step-by-step techniques for crafting special effects, from pop-ups to puzzles, mosaics to kaleidoscopes, and even a holiday gingerbread house. An illustrated glossary of scrapbooking techniques, such as using punches or creating templates, features definitions of terms along with capsule information on the process. Product Identifiers ISBN-10 0883639270 ISBN-13 9780883639276 Key Details Author Michele Gerbrandt Number Of Pages 144 pages Publication Date 2000-04-01 Language English Publisher F W Media, Incorporated Additional Details Illustrated Yes Dimensions Weight 3,403.9 Oz Width 10.4 In. Length 10.4 In. Target Audience Group Trade REVIEWS: · I LOVE ANYTHING BY MEMORY MAKERS. THEY ARE SO EASY TO FOLLOW. THE BOOK HAS MANY TIPS AND EASY TO FOLLOW INSTRUCTIONS. A JOY TO USE. MEMORY MAKERS ARE ONE OF THE BEST COMPANIES TO PUBLISH BOOKS AND I HAVE NOT FOUND ONE YET THAT I WAS NOT SATISFIED WITH. I AM ALWAYS ON THE LOOK OUT FOR ANY OF THEIR BOOKS. THE IDEAS ARE GREAT AND ALWAYS I FIND SOMETHING NEW TO DO. · This book was very helpful and informative for a scrapbook beginner. It gave me good information and great ideas! I would buy it again for sure! I think it would even give some tips to scrapbook pro's!! Excellent Buy! · Once I was able to sit down and really examine the book it has allowed me to add so many add-ons to my scrapbooking pages. It is full of great ideas and suggestions. Great book. Powered by Turbo Lister The free listing tool. List your items fast and easy and manage your active items.